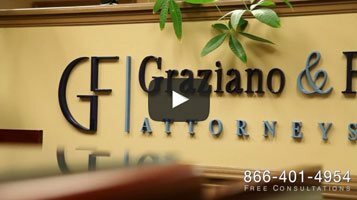 Cherry Hill, New Jersey Divorce Lawyer | NJ Personal Injury Attorneys | Graziano & Flynn, P.C. 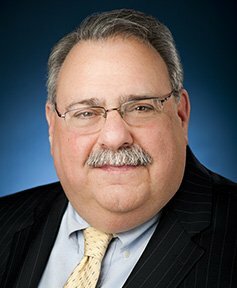 Ron Graziano is one of South Jersey’s leading family law attorneys, and has dedicated his service to the community since 1974. Throughout attorney Graziano’s professional career he has worked tirelessly to help clients navigate New Jersey divorce law. Mr. Graziano is widely recognized for his unyielding support to his client’s situations, and is acutely sensitive to their requirements. Mr. Graziano has represented thousands of clients during his career, and deeply understands those clients’ fears and concerns. His ability to empower clients with realtime information, and updates, along with his candid analysis on the varying aspects of each case are part of his successful longevity. The law practice of Graziano & Flynn is based on the belief that people in need of a divorce lawyer in Cherry Hill, New Jersey deserve to be represented by a compassionate, skilled communicator who will fight on their behalf. Although not every case goes to court, you will be represented by a highly effective trial attorney, who will stand firm in the face of opposing counsel if required. Your financial situation will be reviewed to ensure that your case is resolved in a manner that you can afford. For you to get the results you desire without ruining future relations between you, your children and your ex-spouse, you must select a divorce lawyer who fully understands your family situation in regards to divorce, child custody, child support and alimony. Your lawyer must regularly monitor the ever changing updates to divorce law in New Jersey, which can drastically impact your case. Knowing the judges, opposing counsel, and operations of the courts in Southern Jersey is paramount to winning your case. In moments of crisis it is extremely difficult to appreciate the various ways New Jersey family law will affect your future. At Graziano & Flynn, P.C., in Cherry Hill, N.J., we offer comprehensive legal representation to individuals struggling with divorce and other family law matters. As a local N.J. family law firm, our attorneys are eager to commit their time and energy to work tirelessly for your unique situation. Each case is different and our ability to tailor our representation to meet your needs is one of our specialties. Different than most other legal issues, family law matters are intensely personal. The sensitivities surrounding family disputes require thorough dedication, and professional support to facilitate calm and rational decision-making. 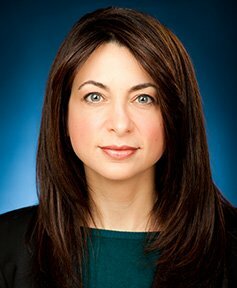 The family law attorneys at Graziano & Flynn, P.C., have years of experience in handling high stakes, emotional divorces. We cover a wide range of family law matters in Camden County, Burlington County, Gloucester County and throughout the state of New Jersey. The emotional and complex decision to pursue a divorce in South New Jersey is for many a zero sum game. Contemplating the benefits in filing for a divorce is no light task. Divorce is a fracture between two people, and the fracture can penetrate all the way to the extended family and the children of the separating couple. This can be extremely emotional and depending on the length of the marriage, assets, and other material property, the divorce can crush the spirit of both parties. When a divorce in Southern New Jersey has property, and other assets in dispute, the principals involved can either choose to subdivide, or fight to gain control of their belongings. If the parties are able to reach an agreement and divide the property and assets with mutual benefit, than the two individuals will emerge victorious. The legal fees associated to dividing belongings more often than not will cost more than the sum value of the property in dispute. Most family disputes in Southern New Jersey that conclude in agreement are resolved faster than a divorce and are far less costly. Alimony, or spousal support is the obligation bound by law where one spouse is required by New Jersey family law to extend financial aid to the other party preceding separation or divorce. Alimony is usually granted after a lengthy marriage, or in certain instances some individuals agree to give up career ambitions to support their spouse or children. Alimony is a form of financial aid awarded in a divorce or in a legal separation and in many circumstances, alimony in Southern New Jersey is decreed in parallel with child support, which will come at the discernment of the New Jersey judge in the case. Going through divorce as a business owner in Southern New Jersey is a process that will require competent legal counsel. As a business owner, you are recommended to understand what action the court may take against you. A court handling family law in Southern New Jersey has to first assign value upon the assets and debts in the marriage. Appraising a business is sometimes easy and can be concluded simply by reviewing a balance sheet, or it can be rather difficult. Assessing the value of a business owner can also entail teams of accountants testifying in court over the worth of the business. I am here to help you establish a separation agreement. For those who have come to a point where you can no longer continue with your spouse, yet you are not yet ready for a full divorce, the separation agreement is your best choice. Taking the step to separate from your partner is never easy, especially when there are children, assets and other properties at risk. Without completely terminating the marriage, a separation agreement enables you to maintain your legal rights within the following parameters of New Jersey family law: child and spousal support arrangements; assets and living arrangements, child custody, visitation rights, and more. Once your divorce is complete you may require further adjustments, or modifications to one or more stipulations in your divorce settlement. In some cases, one of the parties involved in the divorce wants to change the visiting permissions after the divorce decree has been issued, or in other cases a mistake may have been made by one of the principals involved and this will certainly require a modification. In certain instances when the other party is unable to hold their end in the original divorce agreement, enforcement action will need to be initiated. If the other party has abandoned a court order, or divorce agreement, the court can bestow actions on clauses of the agreements using contempt of court, and other methods. The law office of Graziano & Flynn can help you petition the Southern New Jersey court for help if your ex-wife/husband has neglected to hold up their side of the terms in your divorce. For couples with children who are in the process of divorce, one of the most pressing and troubling parts to the divorce is how to address the issue of custody for the children. At Graziano & Flynn we have decades of experience in fighting for your desires in the battle of child custody. Our practice has helped countless families in Cherry Hill, New Jersey, as well as other communities in Camden County, N.J. and other communities, deal with the emotional range of issues that are raised when children are involved in a divorce. I am proud of the hard work, and long outstanding track record as a top divorce lawyer in Cherry Hill, New Jersey. We have helped so many people through the turmoil that divorce brings to their personal life. Our goal is to fight for your needs, and we will not leave your side until you have reached your goal. As one of the longest standing family law practices in Cherry Hill, New Jersey, I can speak for the firm when I say we truly serve the community with the highest service, and absolute respect for families in crisis. Please reach out to us 856-351-5254, or simply complete the online form. I will speak with you personally and it will be my privilege to serve and advise you by phone. I will take the time to understand your personal situation, and overall objections. I will listen to you. I want you to understand that your issues are my concern. I will only agree to take your case if I truly believe I can make the impact that you desire. I will not take your case unless I am absolutely certain that your that your intentions are realistic, affordable, and attainable. I will only agree to being hired on your behalf if it is clear that our relationship is open, transparent and will work for you. Why do our clients enjoy working with us? Our track record of success speaks for itself. No law firm will fight harder for its clients. We've received the highest peer review rating in the industry for high ethical standards and professional ability. Personalized, client-centric representation by sophisticated, skilled lawyers. by the skilled team of Graziano & Flynn.